Every two weeks, I used to spend an entire Sunday with a friend mass producing 30 lbs of vegetables and 20 lbs of chicken for our bodybuilding diet. Working together, it normally took us 10 hours to complete. Buying groceries, lugging it home, washing vegetables, chopping, slicing, grilling, steaming, packing, and cleaning. It was all routine by now. One Sunday, I started wondering about the ROI of exercise and eating healthy. For every hour that I spent at the gym and cooking healthy, did I get that hour back as an old man? Like a prudent investor, I was beginning to worry about the return potential of my investment. Doing some quick napkin math, I figured that one day every 2 weeks was about 7% of my life, and that perhaps that 7% had some value. If you count my friend’s life, you could say we were spending 14% of a life cooking. So we discussed what saving 7% of our lives would be worth to us. After much contemplation, we eventually arrived at a humble valuation of $200. So I decided to try outsourcing our biweekly cookathon. With a slightly evil smile (and a muahaha), I went on TaskRabbit.com, and submitted our task with all the details of what needed to be done. I was finally beginning to internalize the principles I had learned from the dark side of business – always minimize opportunity cost, and exploit arbitrage. Within hours, I had several bids offering to do the shopping and cooking, all for under $100! After a bit of negotiating, we ended up going with a woman with catering experience, who could do the whole thing in her kitchen for just $116. The following Sunday, I woke up to a phone call. “Hi! 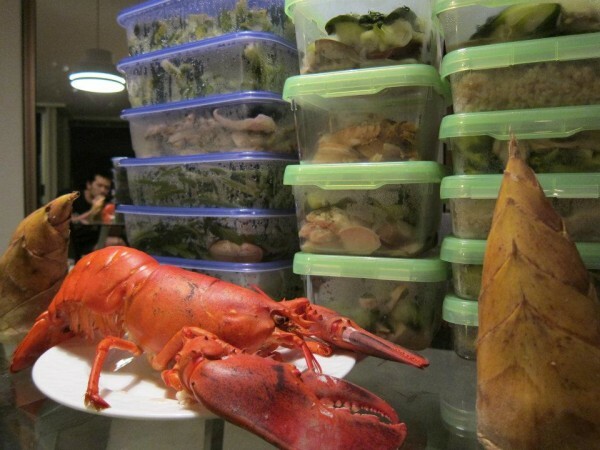 I’m downstairs.” Waiting for me was the woman from TaskRabbit, and a heaping 50 lbs of food. After chatting a bit about why I needed all this food, and assuring her that I did not have 10 children to feed, I hauled it all back to my apartment and shut the door. A huge grin slowly spread across my face. It was the Sunday of my cooking ritual, and I had only spent 5 minutes. The rest of my Sunday was spent with friends and enjoying the sun. Sometimes, with a bit of experimentation and arbitrage, you can literally buy back your life. Seven percent at a time. P.S. If you’re interested in trying TaskRabbit you can use my $10 off link. Timing is everything. Steep tea a minute too long and you’ll ruin it. Start your business next year and you’ll miss the market. Kiss her now or forever regret the moment. Success in dieting, like success in life, requires an acute awareness of timing and opportunity. When you eat matters just as much as what you eat. It’s not as simple as “calories in, calories out”, the facile explanation often used to sum up weight loss. Your body is a complex energy system with dynamically changing needs. A good diet plan will try to match resources to needs (e.g. eating more carbs before a workout), pair foods to produce the right synergistic effects (e.g. taking creatine with fruit juice), and capitalize on windows of opportunity (e.g. drinking protein right after a workout). A good dieter learns to tango with their body – anticipating its next move, feeling out its desires, and stepping to its natural rhythms. If you follow a diet plan, I highly recommend visualizing your consumption this way. It’s a great way to reveal any imbalances in pacing. Carbs – Space your carbohydrates evenly throughout the day, increasing it before and after a workout, then taper it off towards bedtime when your metabolism slows down. Eating a high carb meal right before bed is a great way to get fat. Protein – Your body should have a constant supply of protein all the way up til bedtime. Many bodybuilders even wake up in the middle of the night to drink a protein shake. 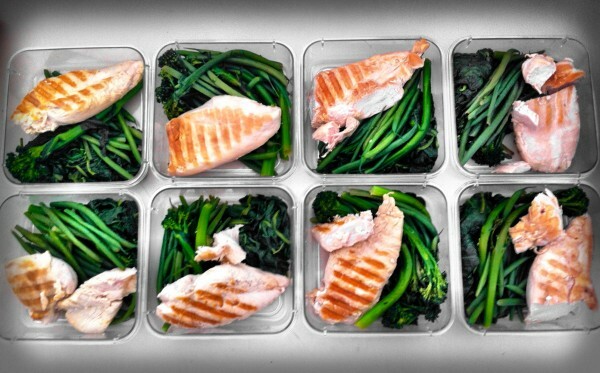 Keep protein evenly spaced throughout the day, and increase it slightly right after a workout. I always have a meal of flaxseed oil and casein protein (digests slower than whey) right before bed. Fat – Ideally, your fat intake should be inversely proportional to carb intake. Whenever you eat meals high in carbohydrates (especially if they are high GI foods), you’ll want to eat less fats to reduce the chance of your body storing it. In order to better isolate this variable, I eat 99% lean meats, then supplement with healthy fat sources like flaxseed oil, avocados, almonds, and fish oil. 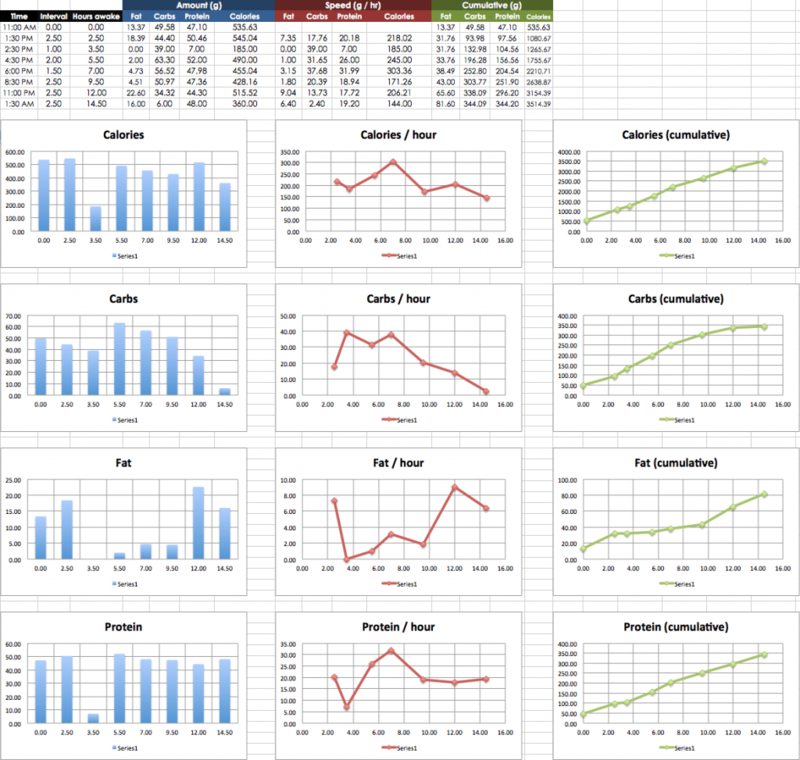 Calories – This should look fairly similar to the carb graph. Increase calories before and after a workout, then taper off slightly towards bedtime. You don’t need to explicitly plan this. If you plan your carbs, protein, and fat correctly, the calories will fall into place. Are you feelin’ the beat? Now that we’re head bobbing to the right tempos, it’s time to start dancing (or fist pumping, whatever works). Go make some changes! 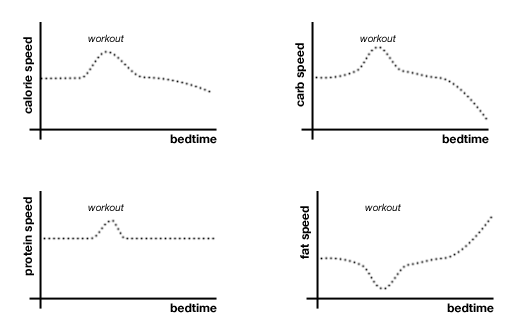 As soon as I graphed my diet, I realized I was working out too late. 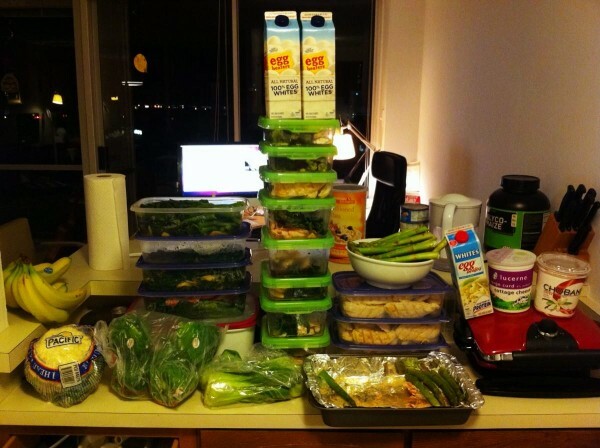 Since I usually hit the gym around 8pm, my three biggest meals were all crammed in late at night. My carb curve had an apex around 10pm. This also meant my body was wide awake at wee hours of the night, even though my brain wanted it to be asleep. Once I started doing my heavy lifting in the afternoon, the curves started looking a lot more like the ideals I describe above. I was beginning to understand the rhythms of my body. I was finally learning to tango.